This is a premium nutrition for fertility which is – designed to help restore women hormonal balance, promotes regular ovulation in women, optimize female fertility safely and naturally and also supports overall reproductive wellness. Infertility can be caused by a huge number of factors: hormone imbalance, Polycystic Ovarian Syndrome, Endometriosis, Anovulatory Cycles, physical blockage, inadequate hormone production, short luteal phase, lack of luteinizing hormone, high levels or prolactin, and many others. Poor nutrition often plays a major role, as does exposure to certain chemicals. Age plays less of a role before menopause. Many women turn to a low-fat, high fiber diet in an attempt to increase health and lose weight. Weight loss has been shown to increase fertility, but losing weight in this way is rarely effective for increasing fertility because it deprives the body of the necessary proteins and fats necessary for hormone production. Many factors influence chances of conception, including age, general health and stress levels, as well as sperm and egg quality. The more you are in balance in mind, body and spirit, the greater your chance of conception and the healthier your baby is likely to be. However, inadequate diet, intensive food production and processing and the demands of job, travel and family, can mean that our nutritional needs are not met adequately. A woman's body only produces a set amount of eggs, and it only releases a fraction of them during her reproductive years. These eggs are exceptionally delicate and prone to oxidative stress -- because eggs are limited, it is essential to keep them as healthy as possible to increase chances of conception and a viable, healthy pregnancy. L-arginine, an amino acid, zinc, selenium and Lycopene with astaxanthin all function as powerful antioxidants to do just that, helping to keep eggs safe during storage, release and implantation. Supplements such as folic acid, which help to protect the genes in the embryo while it develops, and vitamins B6 and B12 which help to reduce toxic levels of the chemical homocysteine, linked to miscarriage, are all essential to a woman's fertility. Astaxanthin is a naturally occurring carotenoid pigment; it is also a powerful biological antioxidant. Astaxanthin has strong free radical scavenging activity and protects against lipid peroxidation and oxidative damage of LDL-cholesterol, cell membranes, cells, and tissues. Astaxanthin is believed to have many potential fertility benefits, because of the powerful antioxidant actions. Lycopene is a fat-soluble red pigment produced by plants and some microorganisms. It represents the major carotenoid in tomatoes and is found to a lesser extent in guava, pink grapefruit, watermelon and papaya. Lycopene may help treat the painful condition endometriosis. Endometriosis occurs when abnormal growths form around the womb, which can lead to fertility problems. The antioxidant properties of lycopene are thought to be primarily responsible for its beneficial properties, evidence is accumulating to suggest other mechanisms such as modulation of intercellular gap junction communication, hormonal and immune system and metabolic pathways may also be involved. An essential amino-acid, L-arginine is a key player in a number of physiological functions. A key vitamin for improved fertility, Vitamin B12 enhances the occurrence of ovulation, being particularly helpful to women not ovulating at all, making it harder to try to conceive. Vitamin B12 also improves the inner lining of the uterus, thus creating a favorable environment for the implantation of the fertilized eggs. A B-complex vitamin can be added to your daily intake, to bring sufficient amounts of both Vitamins B6 and B12. Vitamin B6 is one of the most useful vitamins for women suffering from infertility (especially due to PCOS). Its main importance is in regulating hormone levels (specifically the two hormones which are crucial for conception: progesterone and estrogen). This accomplishes two things: increases female fertility and raises the chances of actually getting pregnant. Pyridoxine is required for the balancing of hormonal changes in women as well as assisting the immune system and, in the growth of new cells. 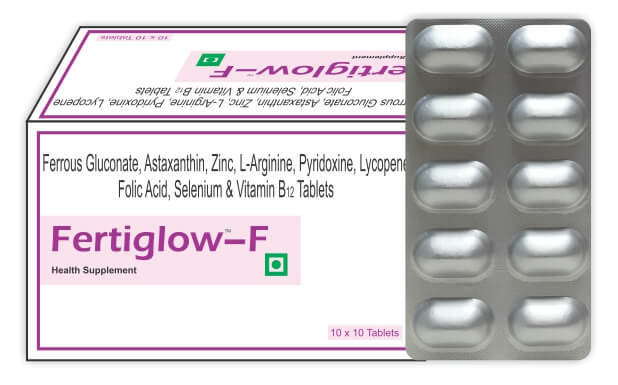 Folic acid, also known as Vitamin B9 is also referred to as folacin or folate and its chemical name is pteroylglutamic acid. This vitamin can be manufactured by the body and be stored in the liver. Folic acid (also known as folate or vitamin B9 is a vitamin which is crucial for two main reasons, before and during conception; it increases your fertility rate and lowers the risk of birth defects. Due to its ability to help grow and protect cells in your body. It is also essential for the development of DNA. This is especially critical during pregnancy, when cells in your body are growing and dividing very quickly in order for your uterus to expand, the placenta to develop, blood circulation to increase, and the fetus to grow. Folate is now viewed not only simply as a nutrient needed to prevent megaloblastic anemia in pregnancy but also as a vitamin essential for reproductive health, disease prevention, and health maintenance. Zinc deficiency alone will not make you infertile, but it is a key factor in making many parts of the reproductive system work properly. Without it, your cells can not divide properly; your estrogen and progesterone levels can get out of balance and your reproductive system may not be fully functioning. For women, zinc plays a vital role in egg-cell development. For hormone regulation zinc is just one of the minerals that the body uses to keep hormone levels (like estrogen, progesterone) stable throughout the entire menstrual cycle. Low levels of zinc have been directly linked to miscarriage in the early stages of a pregnancy. Iron is an important mineral that the body needs to produce red blood cells and keep you in good health. Studies have shown that women who do not get sufficient amounts of iron may suffer anovulation (lack of ovulation) and possibly poor egg health, which can inhibit pregnancy at a rate 60% higher than those with sufficient iron stores in their blood. Because of its physical tolls on the body, pregnancy commonly makes women anemic. Low levels prior to conception, however, may actually contribute to lack of ovulation. Iron builds the blood and helps form red blood cells, which increases fertility and helps balance ovulation. Additionally, menstruation, pregnancy, and lactation all increase the risk of iron-deficient anemia. Selenium is a mineral that acts as an antioxidant by protecting the reproductive system (especially the ovaries) from free radical damage, promoting healthy cell division. For this reason, selenium can prevent chromosome breakage, which is known to be a cause of birth defects and miscarriages. Good levels of selenium are also essential to maximize sperm formation. Selenium is responsible for elevated levels in large, healthy ovarian follicles; it plays a critical role as an antioxidant during the late stages of follicle development, helping to lead to a healthy environment for the egg. This aids the development of healthy ovarian follicles, which are responsible for the production of eggs. Its protective element also aids in preventing chromosome breakage, a known cause of birth defects and miscarriages.